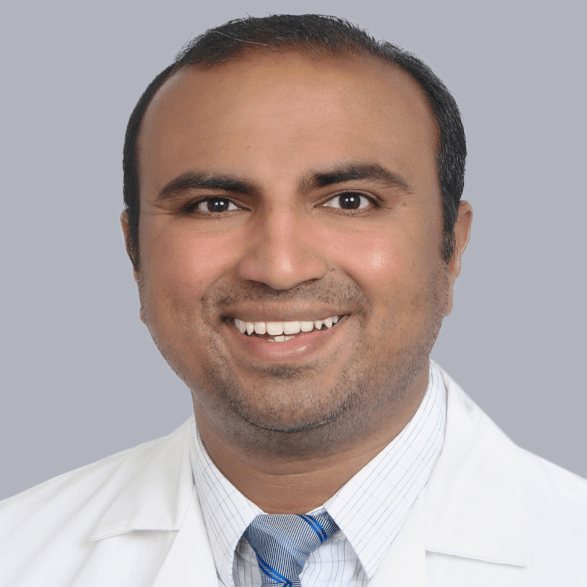 Double board-certified in pain management and physical medicine and rehabilitation, Harsh Dangaria, M.D. serves patients in our Jacksonville and Orange Park, Fla., offices. Dr. Dangaria is an expert in treating many types of pain conditions through interventional, nonsurgical treatments. At the same time, he is known for treating patients with compassion and individualized pain care. In fact, he was honored with a civilian recognition award by Georgia Gov. Nathan Deal. Dr. Dangaria earned his Bachelor of Science degree in Biology from the University of Wisconsin and his medical degree with honors from St. George’s University School of Medicine in Grenada. 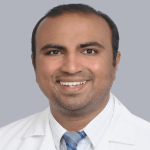 He completed his residency and fellowship training at Brooklyn Hospital Center in New York, Temple University Hospital in Philadelphia, and Georgia Pain Physicians/National Pain Care. He has contributed to a wide variety of peer-reviewed journals and textbooks, and has been a sought-after presenter at academic meetings. Born in Gujarat, India, Dr. Dangaria speaks English and Hindi. They really try to get to the source and help the pain. They listen to what is hurting you and not just hand you a prescription and send you on your way. They know you by name not by chart. I don’t normally take the time to write reviews but could not go without raving about Dr. D. He’s a genuine doctor. Takes the time to sit down with you and listen and explain what’s going on. I feel like he truly cares about helping his patients. No complaints whatsoever. His office staff is great as well as Yvonne his ARNP. Will continue to drive from North side of town down to Orange Park just knowing that my experience there is going to be so much more pleasant than it would be going somewhere more convenient to work/home. This Dr is the rudest person ever, he made me feel as if I was a drug addict in which I am not, I have numerous medical conditions including Congestive Heart Failure, Diastolic Heart Failure, Fybromyalgia, Degenerative Disc And Joint Disease throughout body, Osteoarthritis and many more conditions, I wanted to go back there being its closer to home however my Dr sold his place to these people , I have been on the same medication and dose for 11yrs and I did not appreciate his rudeness , asking me if I read the signs at front desk and on wall , well no I did not see them as I didn’t have my glasses on while in the office, at any rate he then was accusing my pain management I have been with Of giving drugs to heroin users which is a lie to he does Not need to be practicing medicine with a piss poor attitude like he has, I have reported him to the American Disability Act For Discriminating and comparing me to drug addicts !! We are sorry your visit did not meet your expectations. We will have our chief medical officer review what happened. thank you for reaching out. Thank you for your review. We'd love to hear more about your experience with PPOA and hope you have a great day! Dr Dangaria was easy to talk with and provided suggestions and future advice to assist my pain. Thank you so much for your positive rating and we are grateful that you have taken out the time to express your appreciation for the doctor. We value your feedback and are honored to help you in your journey out of pain. We'd also appreciate your sharing your good experience with your family and friends. Dr. Lewis, we are so glad we are able to help you and thank you for your kind review. We will be sure to pass it along to Dr. Dangaria and his staff. Dr.Harsh is one of the nicest Doctors I have ever met, He understands me and my pain and has helped make a plan to ease some of my pain. When he took over my previous doctors office I was ready to find a new Doctor until I met him, he takes real good care of me and I now trust him to do procedures on me after 12 year of being a patient of the previous doctor I'm glad he is here now. Thank you Dr. Harsh. Dr. Dangaria and staff are always friendly and welcoming. With his help of recommending other options to supplement pain relief I feel better than I have in several years. I've been a patient of Sunshine Spine and Pain Clinic for over 4 years. I am being treated for Chronic pain from herniated discs, buldging discs, failed surgery from 7 disc replacement & fusion in cervical and lumbar, pinched nerves causing pain, burning, numbness and tingling and chronic migraines. Sunshine was the first pain mgt clinic that was very proactive in my care. Dr Rehman was suberb, he didn't try to just bandaid the prob but was always actively seeking to solve the problems I had and get me as pain free as possible. Frankly I was very nervous that his practice was being sold to Physician Partners of America and a new Dr taking over my care. I didn't want to go backwards in my treatment, to where I had been in years past. I and I'm sure many patients like me, have been WONDERFULLY SURPRISED and VERY PLEASED with my new doctor, HARSH DANGARIA, MD, at the newly renamed PHYSICIAN PARTNERS of AMERICA. Dr. Dangaria is VERY PROACTIVE in my pain management treatment. His expertise in the field is evident and he is ahead of the curve when it comes to new and innovative treatment for many different pain conditions. This may sound like a sales pitch but I can only say when you have been to several different pain clinics trying to get relief and you have seen the levels of care I have seen, when you find one that is superb like Dr Dangaria you are SO THANKFUL and want others to benefit from his care also!!! It may sound corny but that is the honest truth. What's even better is he has the nicest demeanor and listens with compassion when you talk to him! He does NOT RUSH YOU like many doctors do, like you are just a number or a head of cattle. He gives you 100% of HIS ATTENTION and WORKS FOR YOU to put you on the right path to alieve your pain. HE DOESN'T STOP UNTIL YOU ARE GETTING RESULTS! So I guess you could say he gets a 5 Star 🌟 🌟 🌟 🌟 🌟 !! I would give him and Physician Partners of America a higher rating if I could!!! Thank you so much for your kind words. We are happy to be part of the Jacksonville community and glad Dr. Dangaria has been helpful to you in your pain relief journey.